Harmony, Pennsylvania, is located 30 miles north of Pittsburgh, and is a quaint town with a rich history. Recently, I took some time to visit the Harmony Museum and explore the buildings of Historic Harmony to learn more about the area’s past. Harmony was founded in 1804 by Johann Georg Rapp and his religious community. 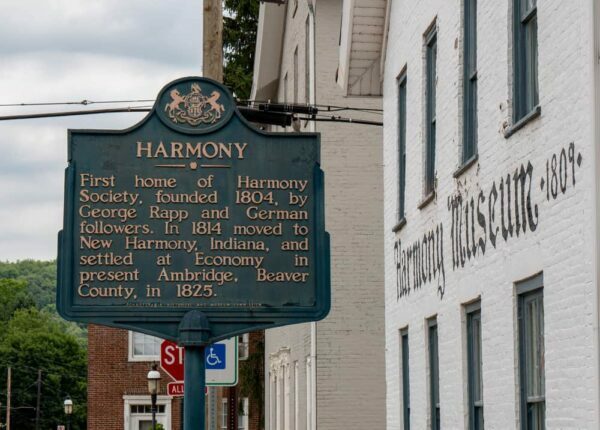 Known as the the Harmony Society or Harmonists, Rapp and his followers had fled present-day Germany only a few years prior in search of religious freedom, just as others such as the Moravians or those at Ephrata Cloister had. The Harmony Museum offers a great look into the history of this community. The Harmonists numbered about 400 and lived communally in the community. They were industrious and built an economically viable town on the Pennsylvania frontier. 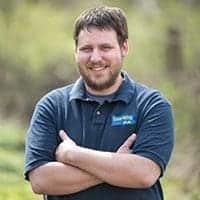 However, as the group grew, they needed more land, so they sold the community to a Mennonite named Abraham Ziegler after just 10 years and moved west to Indiana. Today, the Harmony Museum tells the story of the Harmony Society, the Mennonites that came after them, and those that have contributed to the community in the years since. The museum is located inside the Harmony Historic District and was built in 1809. Guided tours of the museum are offered to showcase the museum’s collection to interested visitors. Johann Georg Rapp’s Bible is on display in the museum. The Harmony Museum features an entire room dedicated to the Harmonists. Inside the room, you can get a feel for what life was like in the community with the Harmonist furniture on display. 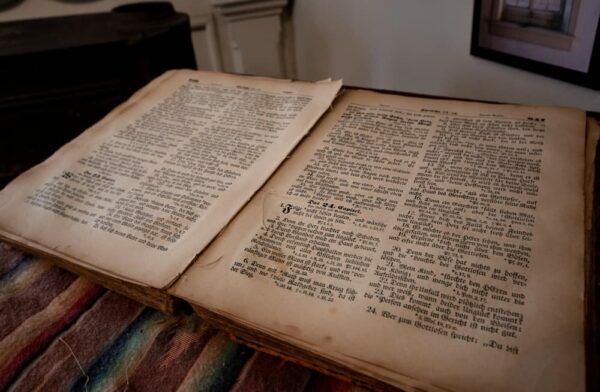 The room also features the personal Bible of the community’s founder, Johann Georg Rapp. Another room in the museum showcases what life was like for the Mennonites that later came to the area. 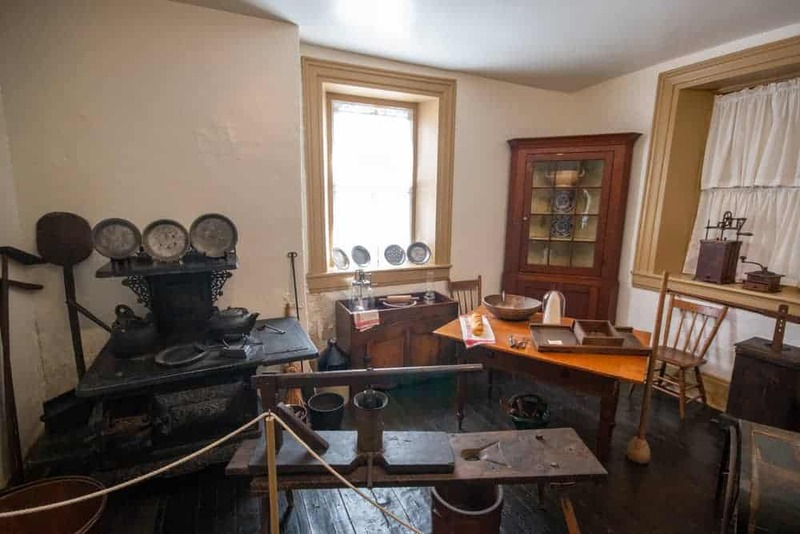 Most of the pieces in this section are related to cooking and food production, but they still offer an interesting look at the community’s life. One room of the museum focuses on the Mennonite history in Harmony. The remainder of the museum focuses on the town’s non-religious history. Items on display include information related to George Washington’s visit to the area in late 1753 where he was shot at by a local Native American. There is also an excellent collection of locally-made rifles that were very advanced for their time. They feature beautiful inlays that were added maker Charles Flowers and are worth seeing if you are interested in antique firearms or just appreciate art. The museum is also home to a large model of an oil well which does a great job showcasing the oil history of northwestern Pennsylvania. In addition to the Harmony Museum, Historic Harmony Inc also owns 7 other properties around the community. 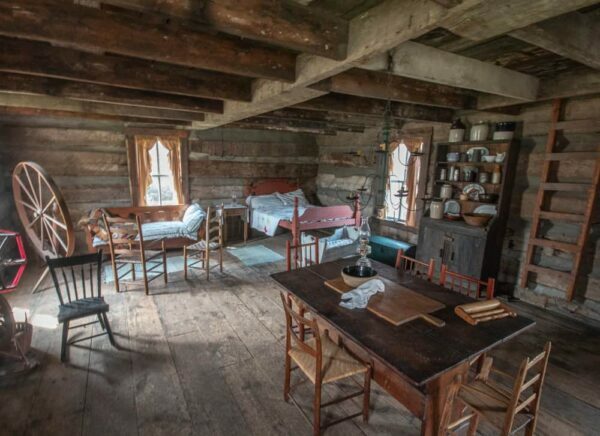 Inside the log cabin in Harmony. One of these is a log cabin that’s located just around the corner from the main museum and is set up to showcase a Mennonite home from the early 1800s. Inside, you can see all the aspects and tools of life that would have been contained in this home. It’s fascinating to imagine what life would have been like in such a confined and simple place. 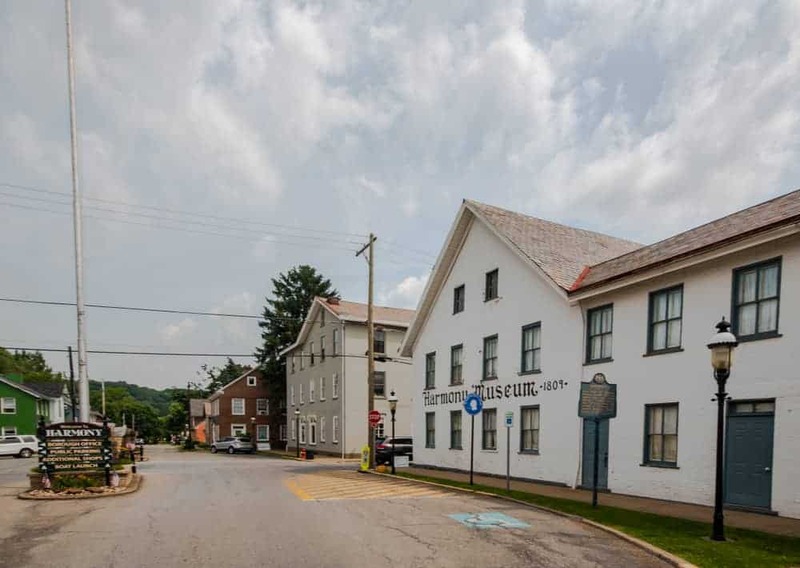 In addition to exploring these two buildings, it’s interesting to simply walk around the Harmony Historic District and look at the buildings that comprise the area. Many of these structures date back nearly two hundred years. Looking at some of the historic buildings in Harmony. 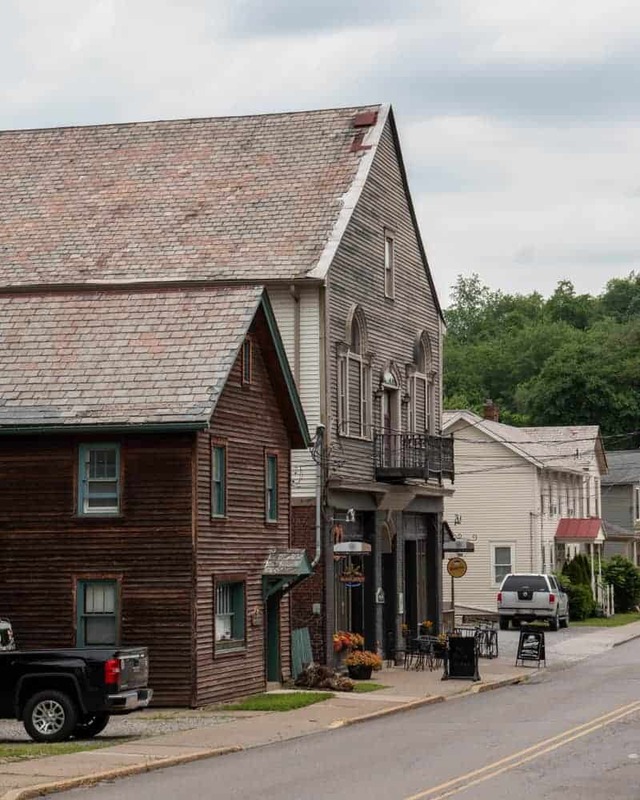 A few of these buildings are open to the public as businesses, and I highly recommend trying out Wunderbar Coffee and Crepes, the Two Fraus Bakery, and the Harmony Inn, which is run by North Country Brewing Company. 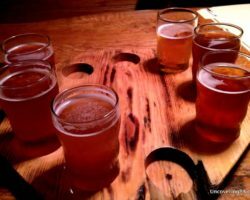 I’ve had a chance to try all three and was blown away by the quality that each offers. Outside of the main part of town, Historic Harmony owns a few more properties of note. The first is a large red barn that is used for events. The foundations of the building date back to 1805, which makes it one of the oldest barns west of the Allegheny Mountains. The second is the old Mennonite Church and graveyard. This building is amazing, and, while it’s not at all ornate, its that simplicity that makes the building beautiful. The very cool rotating stone door that leads into the Harmonist graveyard. Lastly, the Harmonist graveyard, which is located adjacent to ShuBrewery. What makes this graveyard so unique is that over 100 Harmonists are buried here without a single grave marker. 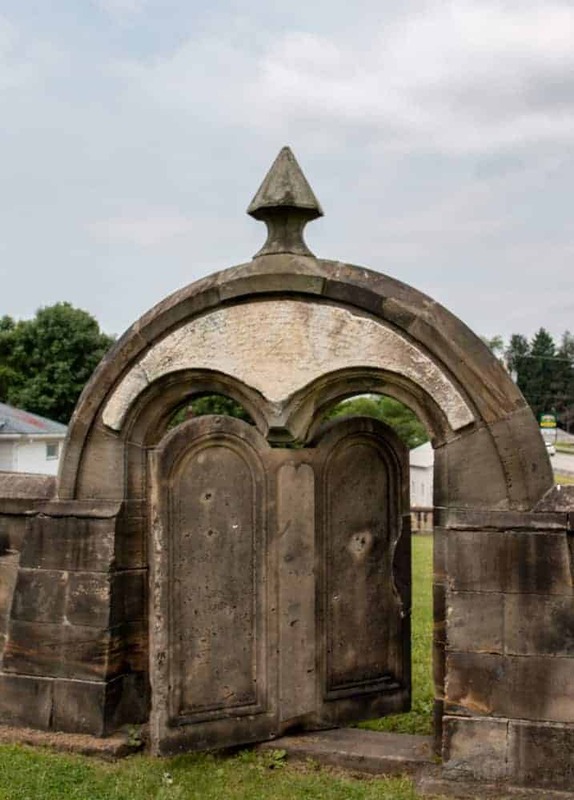 The cemetery, which is enclosed by a large stone wall and has a VERY cool swinging door made of stone, appears to be just an empty plot of land. 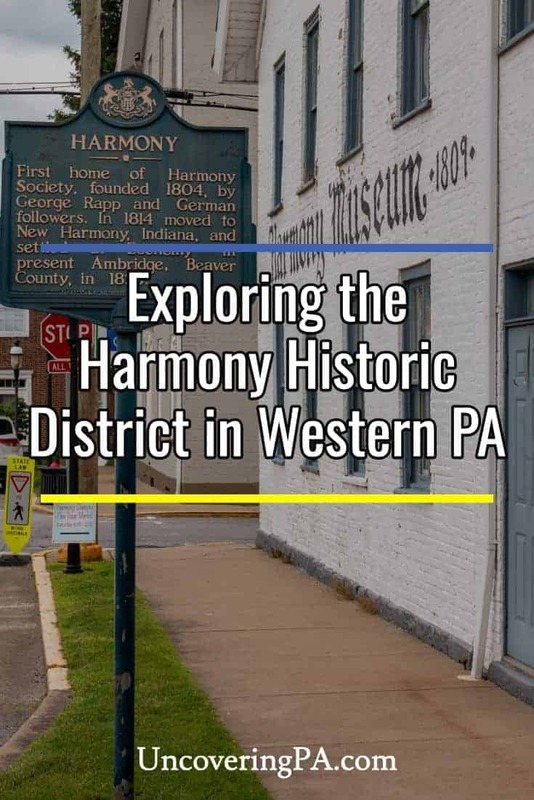 Overall, the Harmony Museum and the Harmony Historic District offer a fascinating peak into the religious history of western Pennsylvania and what life was like this this small community north of Pittsburgh. 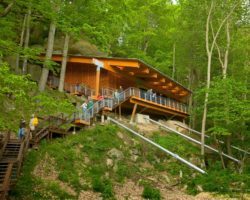 Definitely take some time to visit during your next visit to Butler County, Pennsylvania. Note: My visit to the Harmony Museum was hosted by the museum. However, the opinions expressed are my own. 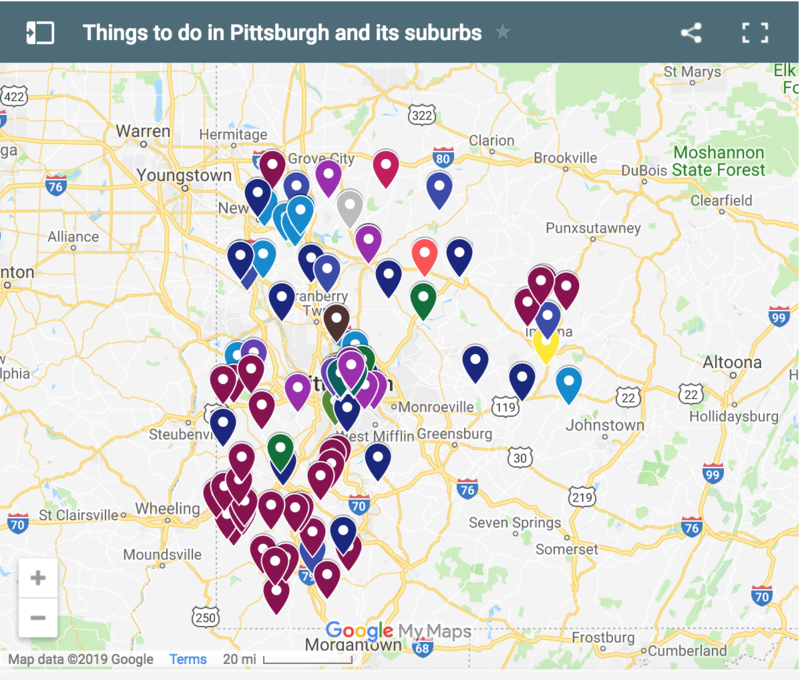 I just discovered this website & have been a resident of Pa. almost my entire life. 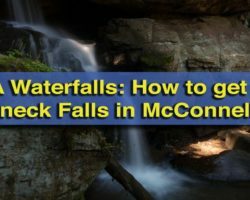 I didn’t know about many of these places & really found this interesting.